Are you a Canadian country music artist or group who's ready to play on the same stage as Rascal Flatts and Sara Evans on August 13,2011 at the Capital Hoedown Country Music Festival? Well, Capital Hoedown and OurStage will be giving one band/artist an opportunity to perform on the main stage at this year's Capital Hoedown Country Music Festival. Starting May 11th, country artists/groups are invited to upload their best original track and enter the Capital Hoedown Showdown Competition. Three finalists, selected from the Top 10 ranked artists in the channel, will get the chance to audition live in front of the judges to determine which lucky artists will be the Grand Prize Winner and get to perform on the main stage at Capital Hoedown on August 13th! Participants must be eighteen (18) years of age or older at time of entry and must be a legal resident of Canada. 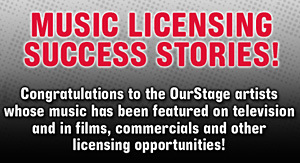 Only submission materials that are determined, at the sole discretion of the Sponsors, to be classified as country, alternative country or traditional country as defined on the OurStage FAQ's will be deemed valid entries.